While DJ Khaled may not have the funds to buy full ownership in the Miami Heat, it won’t stop him from trying to buy a stake. 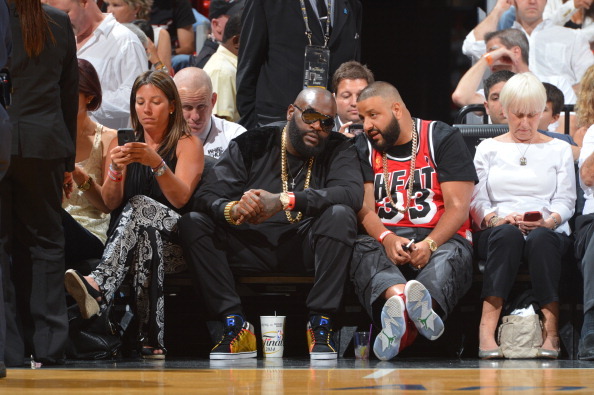 Khaled is already a regular attendee at Miami’s home games, often seen sitting courtside with other celebrities. Current Heat owner Micky Arison bought controlling interest of the team in 1995 for $68 million. Khaled’s net worth currently stands at $18 million, so there’s a chance he could potentially buy a small interest. Making matters more interesting is his close friendship with Hassan Whiteside. Whiteside and Khaled apparently have been hanging out in hot tubs together and communicating over Snapchat. With Whiteside due to become a free agent this summer, maybe Khaled’s influence can convince him to stay in Miami.